Comments: Here he comes, and there he goes! Here, Stan the Man is at the wheel of the 3N1. I think the story goes that Stan drove this on Saturday and then Jimmy Horton drove the car the following day on the Nazareth Mile and picked up the win! 07/20/07 Jim Murrow You're right on your facts here, but I was just talking to Jimmy Horton about this and other things, and here's what happened. The owners of the 3N1 (Suposedly numbered that way because the car won 3 races in 1 day once), called Jimmy and asked him to drive the car at Flemington Saturday night, and the paved mile at Nazareth the next day. This was back in 1983. Jimmy said he'd love to, but he was committed to drive a modified at Middletown Saturday night, but would be happy to drive it Sunday. (Jimmy had never driven a USAC Silver Crown Car before). Since Stan was already going to be running his modified Saturday night at Flemington, they called him, and he agreed to run it there Saturday. I don't know where he finished with it, if he did finish, but I've heard he didn't like the car. Sunday, Jimmy hopped into the car at the Nazareth Mile, and this was a strange beast indeed for him. He'd never driven one of these great big powerful things before. The Kings of USAC. To make a long story short, he raced his way up to second, but couldn't catch the leader in the 100 miler. 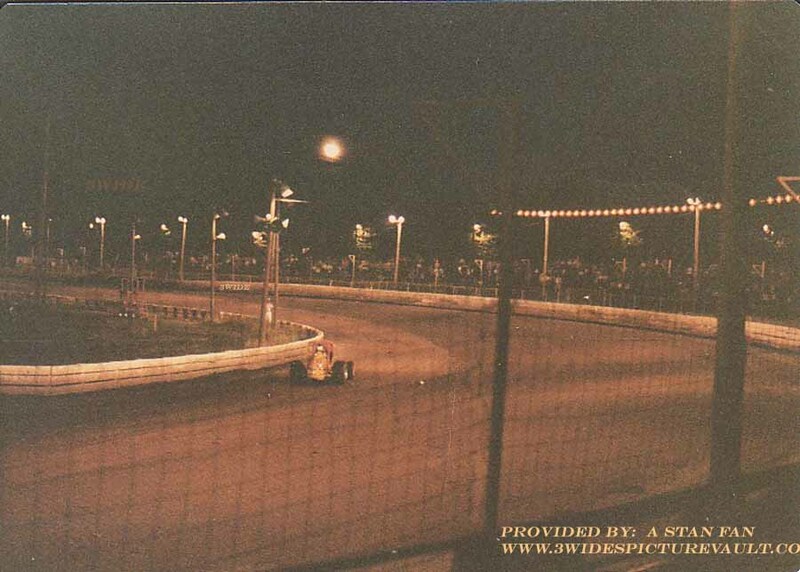 He said he kept expecting the whole race long to see the train of USAC stars fly by him, but he never was challenged. First thing you know, the leader dropped out with car problems, and there sat Jimmy in the lead! He couldn't believe it! 02.29.09 Jershmust The 3n1 car got it's number the from Labor Day 1963. Mario Andretti was given an opportunity to drive the Mataka brothers (Maplewood, NJ) ARDC car which was considered a quality ride. Realize that at the time, Andretti was virtually unknown, very small in stature, and a foreigner to boot. Nevertheless, he was given the chance to drive. On Labor Day weekend, 1963, he won a feature at Flemington and then towed to Hatfield, Pa where he won another feature later in the same day. 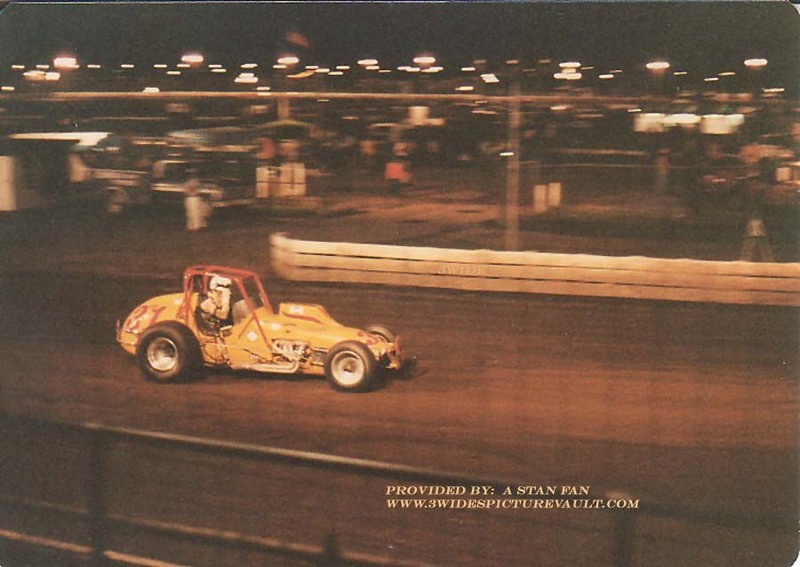 Because of a previous rainout at Hatfield, they ran another feature that night, which was also won by Andretti. Hence, the number 3n1 was born by virtue of the 3 wins in one day. Chris Economaki happened to be the track announcer at Hatfield and after the race said to Andretti, "Mario, you just bought your ticket to the big time." I read this account in "Mario Andretti A Driving Passion" by Gordon Kirby.